A new medium brings with it a new palette, new design possibilities, new composition methods, and an invitation to create defining new experiences. A Table of Elements defines the palette for composing HoloLens experiences, delineating elements in the categories of Physical Space, User Input, Holographic Form, and 3D Sound. Mixed Reality Design Methods identifies pivotal creative strategies for combining the elements and composing mixed reality experiences with HoloLens. 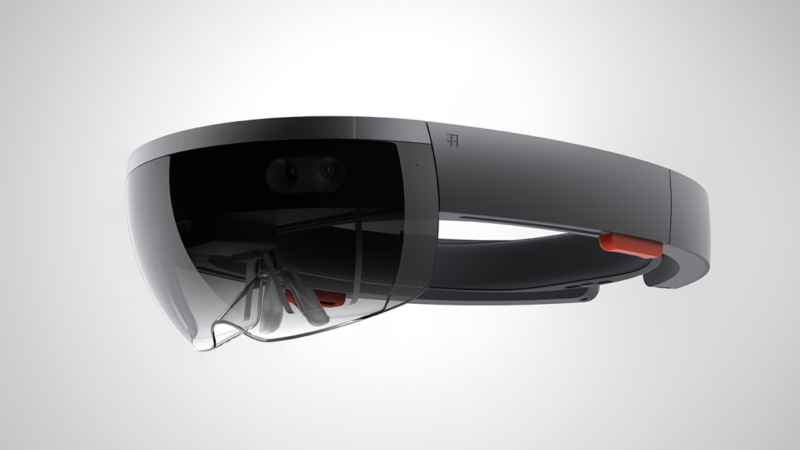 Case Studies analyzes early Microsoft HoloLens experiences using the Mixed Reality Design Methods and Table of Elements. An Example Flow Diagram applies the language of the HoloLens Design Patterns to a moment-by-moment flow analysis of a HoloLens experience. Using holographic from to transform the function and visual perception of surfaces in a physical space. Translating data traditionally constrained within a 2-dimensional screen into 3-dimensional physical space. Moving information from screen into space—seamless integration between monitor or tablet and holographic expression of its contents. Also encompasses 3D printing of holographic objects. Composing the holographic layer in a physical environment as an immersive environment with which to explore and interact. Playful engagement with the holographic layer, including shooting, dodging, chasing, catching, following, finding hidden objects, etc. Superimposing annotation or other expressions of information onto objects and structures in a physical environment. Collaboratively viewing and interacting with shared spaces, including remote annotation of a physical environment. Using a holographic object as a collective focal point for collaborative work, dialogue, learning, etc. Building objects holographically, encompassing the intent to export them into the physical world. Building upon the foundation of the Design Patterns, 8ninths is currently in the process of applying this emerging vocabulary and set of compositional strategies to blueprints for new HoloLens experiences.